News of a crossover project between Capcom, Namco, and Sega were recently reviewed to be a strategy RPG for the Nintendo 3DS. 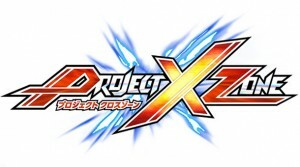 Titled Project X Zone, this new project will feature characters from franchises of all three companies. Revealed character artwork confirmed the appearances of several fan favorites, including Capcom’s X and Zero of the Mega Man series, Namco’s Jin and Xiaoyu of the Tekken series, and Sega’s Kurt and Riela of the Valkyria Chronicles series. Not much is known about the game so far, but the website does display a message saying “4.17 GRAND OPEN”. Perhaps there will be more details to come next Tuesday?